We just added our newest and most modern Moodle theme ever! Elos has unlimited marketing layouts, tons of settings, and a very polished and professional look. 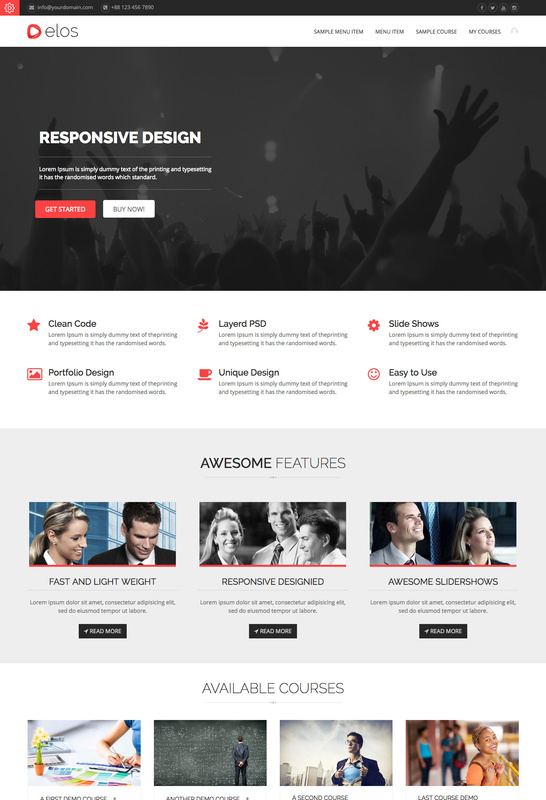 In addition, there are WordPress and HTML Template versions of the theme! Check it out today.